I work with a teacher who is passionate about engaging students in meaningful learning. She is working toward incorporating more project-based learning into her teaching along with more emphasis on global competence. She found, though, that her classroom was not conducive to putting students in the right mode of thinking and acting in order to facilitate such learning. So, she spent the past semester collaborating with designers and furniture specialists to re-design her classroom space to accommodate her new teaching methods. We were happy to receive news from district office that she will be able to finance such an ambition and see her goal come to fruition ready for next year’s students. 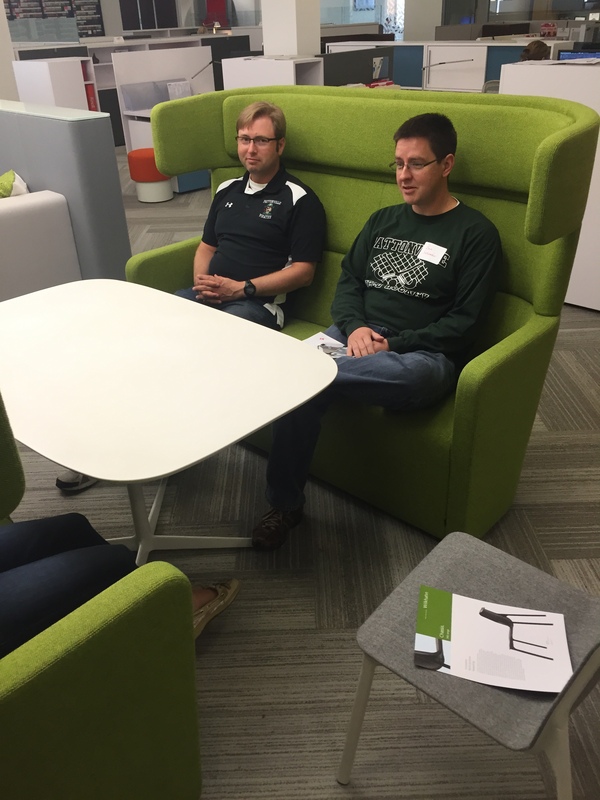 I was fortunate enough to watch the process unfold for this teacher and we even arranged for a group of teachers to visit the furniture showroom for inspiration. A lot of time, thought, and money go into designing work spaces for companies and the same concepts should be applied to schools. 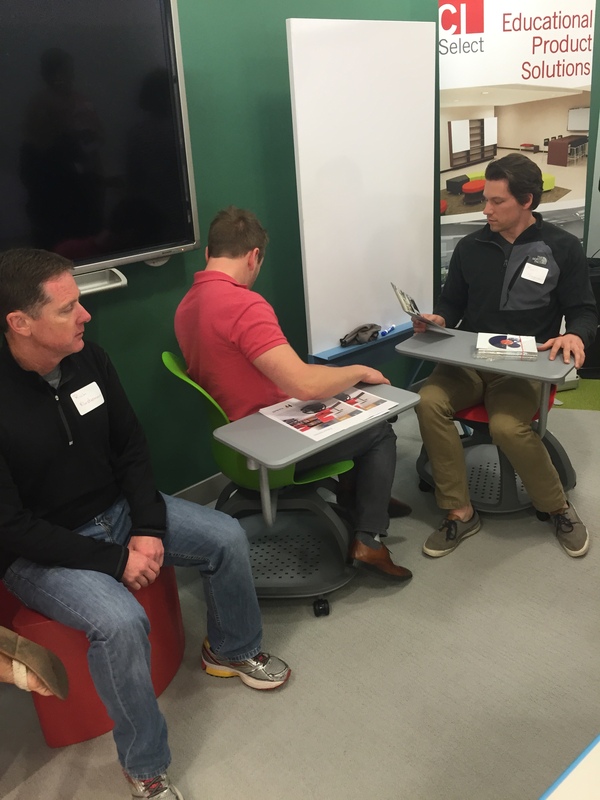 The place we visited, called CI Select, is already working with other school districts to bring a modern, collaborative design to student and teacher work spaces. 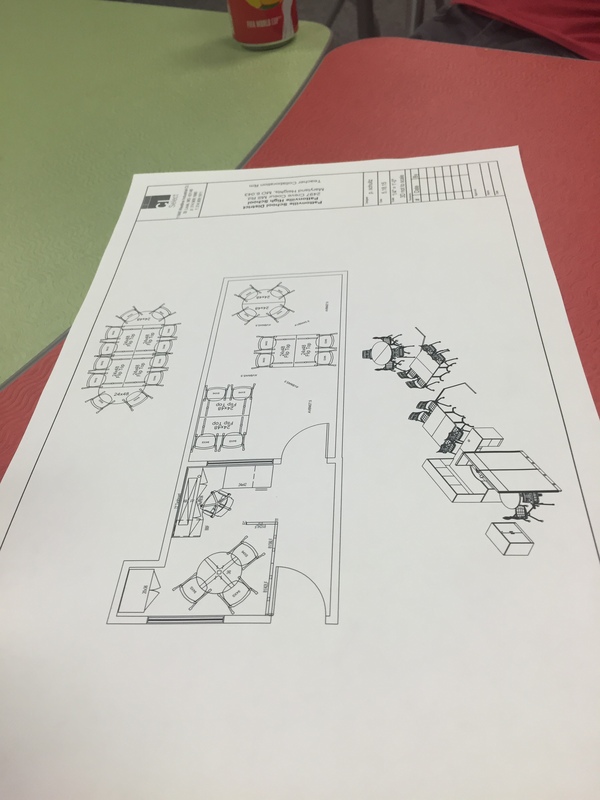 I was able to get ideas for a teacher collaboration space that is in the works to help teachers leave their isolated classrooms and share ideas with each other. Now that it’s summer break, the time is perfect for teachers to re-think their classroom spaces and better prepare them for next year. It gets easy as a teacher to stick with systems and habits that seem to work, simply because it’s easy to get in a “teaching rhythm” and stay there. With all the talk about integrating technology and updating to 21st century teaching methods educators must understand that layout and design are integral components of updating their classroom. After all, if preparing students for the “real-world” is the goal, then we need classrooms that reflect modern workspaces. 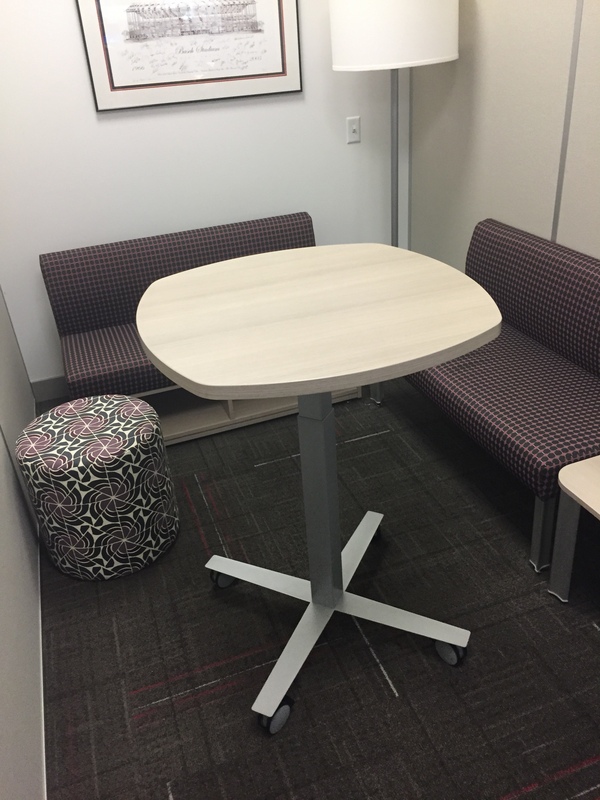 1) How can you re-arrange your existing furniture to foster collaboration among students? Think about 21st century learning needs such as charging stations, areas with different learning purposes, and maybe using pictures to facilitate students forming different layouts for depending on the activity. 2) What can you add to the environment to promote the 4 C’s (creativity, critical thinking, communication, and collaboration)? Think about color choice and wall decorations. Remember that less is more but you want students to walk in and feel inspired to learn. 3) Get your students involved! If you want to design a classroom space that works for them, then have them create the decorations or arrange the furniture. They know what they want! 4) Don’t feel limited. Just like the furniture and space should be, stay flexible allow the design to change throughout the year. Realize that there is no perfect layout, so experiment with it and have fun! 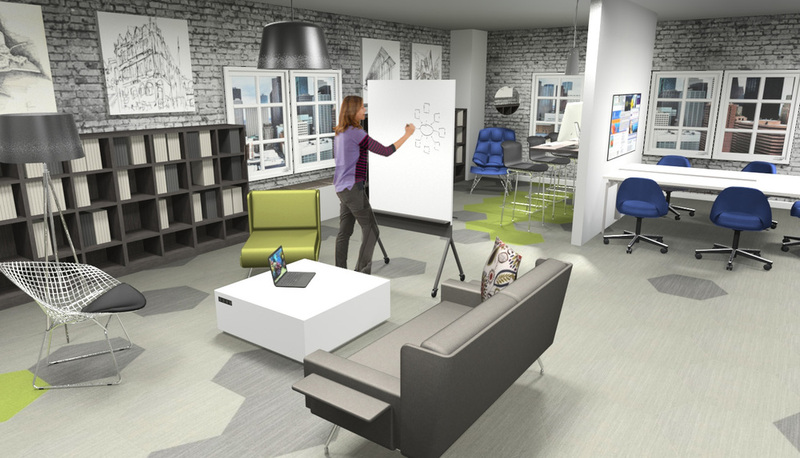 Show your students that your space mirrors the work world and not a traditional classroom. With these things in mind, I look forward to seeing the finished learning space my colleague has created in the fall. Thanks to CI Select, I now have a layout to pitch to my administrators for creating the ideal Teacher Collaboration Space. I hope they and other teachers start to see the impact that classroom design has on inspiring 21st century deeper learning.